Like most people I found myself veg’d out in front of the television last week watching hour after hour of college football which got me thinking about competition. From the time we’re little kids we try to be the fastest runner, the highest jumper, the best drawer and the highest test scorer. In our adult world not much changes as we now compete for praise from our boss, a promotion or raise, and the coveted corner office. I grew up in sports, but my sports (swimming and tennis) were mostly individual. I was no Michael Phelps, but I still had a time to beat regardless of where I finished in the actual race. I might be 3rd, but if I had my best time, then there wasn’t much to complain about. I could measure my individual improvement. Conversely, I could actually win the race but if my time wasn’t good I could count on extra workout time the next morning. In sports competition is celebrated – even revered – and sadly while it may drive us to be better athletes, as adults it generally brings out the worst in us. It’s exhausting actually and very hard to measure. These competition “tapes” probably play in your brain all day long. We talk to ourselves in ways that we’d never allow our friends or peers to talk us (at minimum they wouldn’t be very fun friends or very welcome peers.) What if for 2015 we change the tapes? The problem with competition is that it assumes there isn’t enough for us all. But what if there is enough for everyone and what if we could use the tapes to eliminate competition and encourage each of us to look at the world from a position of abundance? What do you want to have more of this year? As you set your goals for 2015, think of how your current situation can help you get there. Perhaps you’re challenged to get funding. The first instinct is probably to run (and re-run) your balance sheet and see the deficit in several different ways. You look at other companies as competing for the funding you think you deserve from that Angel network. I’d encourage you to flip the message, reflect on the past year or so and objectively determine what you know now that you didn’t know before. Then figure out who (or what) can help you learn that much more in the next 12 months. Keeping what you’ve done right at the forefront encourages the universe to send more positive energy to you. And if you need energy in the form of capital investments, you’ll likely get it. 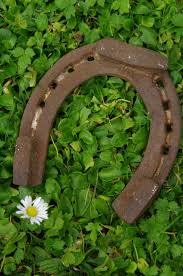 Maybe your challenge is to determine a feasible way to grow your business. You know you can’t hire a team of operations and marketing experts and the person you were relying on to help you has either stopped returning your calls or won the lottery and run off to Bali. Have you taken advantage of the mentors around you? What resources to do you have to help fill the gap left by your partner? Creating abundance isn’t about getting a paved road to success; it is keeping the challenges that are presented to you in perspective and seeing them as rungs in a ladder meant to propel you forward. Finally, perhaps your company or idea is at a crossroads. Let’s face it, not all ideas are going to change the world. There’s still no reason to see the situation as hopeless. You’ve likely learned a lot in the process of developing your idea(s). You’ve inevitably gained experience from the research and development you’ve done. Your contact list should be much bigger than it was when you started. As painful as it is to mourn the death of an idea, seeing how it changed you and created new space within you should ultimately be invigorating. As we go into 2015 I find the idea of changing my tapes and reducing competition to be a wonderful challenge. Can it really be true that there is enough room for us all to succeed? I think so and I’m excited to prove it. I’m incredibly excited to see what I can create and share with you all. I wish everyone the best of luck with whatever you’re going to try to create. I’d love to hear about it! Who says social media doesn’t pay? My lucky tweet! Then, just as I was still basking in my luck, I learned that I had won a ticket to the Dallas Digital Summit (#DDSUM14!) simply by retweeting a LaunchDFW tweet about the event. Now, in reality I’ll happily retweet Rachel and LaunchDFW any day of the week, but to win a fairly expensive event ticket is a great way to get my Twitter ROI up. So here I sit, doubly lucky… now to take advantage of it, right? If it’s true that “The harder I work the luckier I get” then how about testing the hypothesis that the luckier I am the harder I need to work? The topics on the agenda range from SEO, digital marketing segmentation and product development, to user experience trends. No doubt many of the speakers will have cutting edge perspectives on how their connections and engagement with customers is changing in the digital environment. Anyway, thanks again, LaunchDFW! I’ll be sure to add more to my post after next week’s event! Last week I ended my post with a revamped headline that All Marketing needs to be Relationship Marketing. Marketing can no longer simply be about selling to a customer and hoping for repeat business. 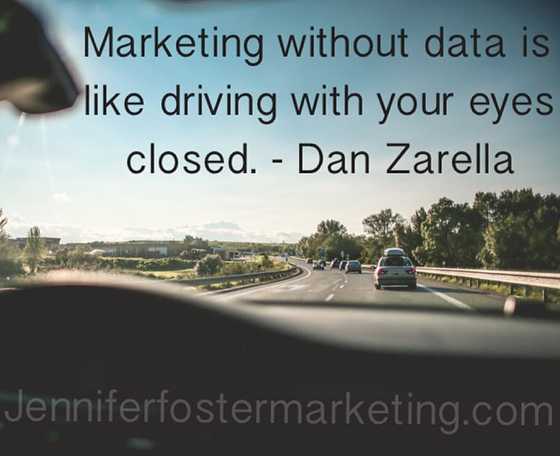 It’s about building and maintaining a relationship with customers and to do that, you need data. And it needs to be good. 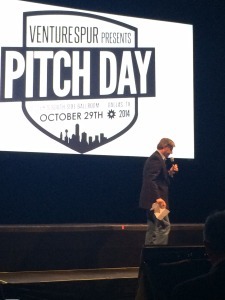 Venture Spur held their annual Pitch Day yesterday, at Gilley’s Southside Ballroom. Yesterday, at Venture Spur Pitch Day the audience heard that a common problem retailers and restaurants are facing is competing for our consumers’ attentions. I listened to several great presentations from BrandFitters, JoopLoop, JoinMe@ and HostSpot which all endeavor to help businesses and brands connect in very meaningful ways with customers. These entrepreneurs understand that it’s not enough anymore to simply know that a 24-year old female from Dallas, TX purchased from you 3 times last year. Brandfitters has created a geo-target based platform that encourages in-store, peer-to-peer engagement. It allows customers to have two-way communication with the brands that matter to them in a real-time setting. Because this social interaction (and it inevitable data) is valuable to the brand, the customer can then receive a coupon for their next purchase or some other item of value. This is basic advertising except now, we’re paying the consumer to do the advertising. Brilliant. And Meaningful. JoopLoop is helping small businesses measure the ROI of their social media efforts. According to the presentation yesterday, marketers will spend $4.8 billion on social media this year alone and $8.22 billion in 2015 and not have a way to measure the ROI. JoopLoop’s patent-pending software solves this by assigning a value to customers based on their individual influence. This is meaningful data to a marketing exec who is trying to defend her social media request. 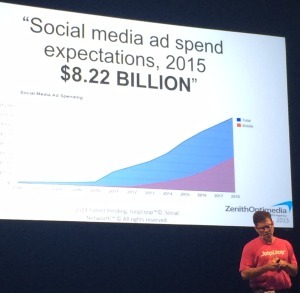 Social Media ad spend continues to grow, yet ROI is nearly impossible to measure. JoinMe@ has a similar premise as Brandfitters. The idea being that as a consumer, I can influence my peers. Using this app I can share exclusive deals to my network and then I get even better deals. It will launch soon with LeeHarveys, for all the Dallas locals. Hostspot offers for brick-and-mortar restaurants and retailers the opportunity learn and measure the needs and behaviors of their customers similar to that of online stores. Their software uses location sensors, smart phone wi-fi tracking, and social media data to provide quality data about what is happening in their stores. The clients can learn the most common traffic patterns as well as offer wifi greeting to repeat customers. Relationships matter. Making them meaningful matters more. Several years ago there was a thought that we’d soon buy everything online. That the traditional brick-and-mortar store couldn’t compete with the discounts offered by online giants. And, as those giants began leading the way developing a relationship with customers, the doom indeed did seem certain. However, these 4 particular technologies are giving the power back to the small business on the corner by helping them use data to create relationships with customers. Are We Just Splitting Marketing Hairs? Ok, I admit it, in a lot of ways, I’m an “old soul”. My position would be that marketing, whether dubbed traditional or cutting edge or whatever new buzz word you chose, is, and always has been essentially the same. Rather, what evolves are our tools. This past week I spent some time thinking about and researching this concept, no doubt if you follow me on Twitter you’ll see the theme and some links to my references. The well-meaning owners of these quotes and I would no doubt then begin what can only be called an argument of splitting hairs. I like to think my “modern” counterparts and I could agree that marketing, as a classic definition, is putting the right product in the right place, at the right price, at the right time: The 4 Ps. Or perhaps better said the 4Ps are: Product (or Service), Place, Price. Promotion. Agree? Agree. Heads nod and onward we go. Product: What does the customer want from the product/service? What needs does it satisfy? Needs and wants of our customers is nothing new. (Score 1 for Traditional Marketing!) Our ability to research and understand products and services has gotten much better, but the premise is the same: you have to know where your product fits, who your competitors are, what do they do better than you, and assuming you have no direct competitors, what is the next best alternative your customers will consider. Promotion: Where and when can you get your marketing messages to your target market? This is probably where the argument would get most interesting, because saying that the promotional channels have changed is pretty much the understatement of the blog-o-sphere. Today’s channels don’t even look like their predecessors. Content management as a practice has all but changed the way consumers research their products. Social media allows bad service to wrap the globe and do its damage in just a few hours, but, hopefully you’re anticipating where I’d make my point here. The act of promotion – placing your messaging into the market place – has not changed. Doing it well, and leveraging the best channels, in the most effective way, is still the best approach, even if those channels move faster than you can draft your social media plan. Traditional Marketing is NOT dead. Marketing is a practice and as time evolves, we get better. Consumers Have Shut off Marketing that Doesn’t Speak to Them. Understand your product, understand your customer then, simply introduce them to each other at the right time. All Marketing Needs to be Relationship Marketing. You and your customer want to be in this beyond the transaction, further many transactions require nurturing and growth over time. Here’s where I’ll be next week. Come by and say hello, or better yet drop me a note to set up a one-on-one! *I always keep score. Even against myself. † This P probably should become a V, but 3 P’s and a V just doesn’t have the same ring.